And banned from Twin Galaxies. 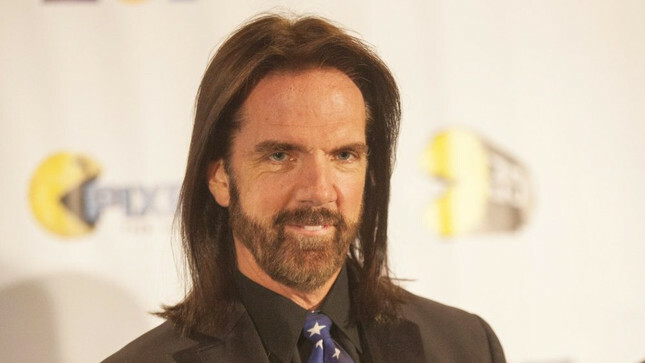 Notorious arcade gamer Billy Mitchell has been stripped of his high scores and banned from submitting more to official leaderboards, because he cheated his way into the record books. Today, the world’s largest tracker of video game world records, Twin Galaxies, announced that an investigation into a pair of Mitchell’s best Donkey Kong performances determined that he attained them by playing on an emulator rather than an original arcade hardware as per the rules. Up to this point, Mitchell has strenuously denied using an emulator. Tape of one of his top performances was a central plot point in gripping 2007 documentary King of Kong, in which newcomer Steve Wiebe attempted to best Mitchell’s Donkey Kong record. Nearly two months ago, Mitchell's scores were removed from the leaderboards at Donkey Kong Forum after frame-by-frame analysis of the board transitions showed visual artifacts unique to a Multiple Arcade Machine Emulator (MAME) version of the game. Mitchell will likely lose his Guinness World Records as a result of the Twin Galaxies ruling, and the organization now recognises King of Kong’s Steve Wiebe as the first player to achieve a million-point game in Donkey Kong. The current world record in Donkey Kong, 1.247 million points, was set by Robbie Lakeman in February. Twin Galaxies does have a separate category for MAME scores, but they are less prestigious as emulator versions can subtly differ from their arcade counterparts, and MAME recordings can be altered. "From a Twin Galaxies viewpoint, the only important thing to know is whether or not the score performances are from an unmodified original DK arcade PCB [printed circuit board] as per the competitive rules," said Twin Galaxies. "We now believe that they are not from an original unmodified DK arcade PCB, and so our investigation of the tape content ends with that conclusion and assertion." Mitchell had set a number of now-nullified gaming records, including one for the first perfect game of Pac-Man in 1999. “Hopefully it is becoming more and more obvious that we care very much about our scoreboard integrity and will continue to improve it step-by-step, no matter how painful or public it might occasionally be,” said Twin Galaxies.